Nuala Woulfe Beauty: Eminence Organic Lavender Age Corrective Night Eye Cream. 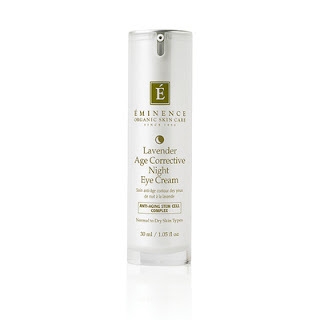 Eminence Organic Lavender Age Corrective Night Eye Cream. This rich, nourishing eye cream will help diminish the visible signs of aging overnight. Lavender and evening primrose provide aromatherapy benefits while the unique Anti-Ageing Stem Cell Complex fight the appearance of crow’s feet and leaves skin looking radiant.